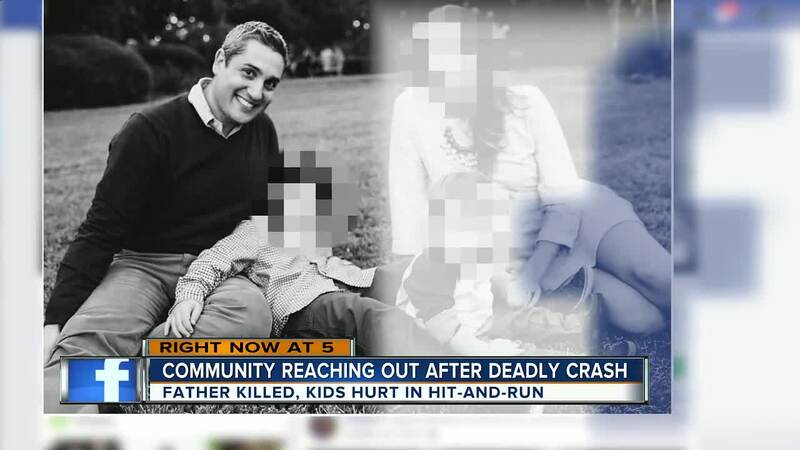 TAMPA, Fla. — Neighbors of the man killed Sunday while riding bikes with his sons say they're numb over his death — adding that he was a devoted father, husband and neighbor. 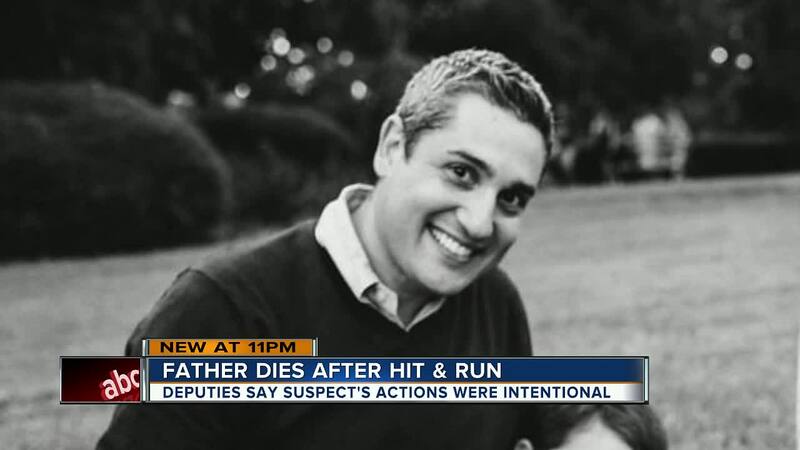 What started as a typical Sunday ended in tragedy when 42-year-old Pedro Aguerreberry was killed while out for a bike ride with his two young sons. “Pedro waved to me as he was leaving,“ said Catherine Lavender, who lives right across the street. Pedro was with his sons, 3-year-old Bennett and 8-year-old Lucas when a car hit them after veering into the bike path. Lavender says she's still in shock. “He was such a great dad and a great neighbor," Lavender said. "When I moved here he knocked on my door and welcomed me to the neighborhood and said if I ever needed anything not to hesitate and ask." Just hours after Pedro left, she said a woman pulled up to the door of the home he shared with his wife Meghan. “She was pounding frantically, yelling 'Meghan! Meghan! '” said Lavender. She says then the woman told Meghan there was a horrible accident. "Meghan just did not know how to react," Lavender said. The news spread quickly that a car struck Pedro and the boys near New Tampa Boulevard just before noon on that Sunday. Later the same night, Tampa police located the maroon Dodge Avenger involved in the accident. They arrested the driver shortly after. But on Monday morning police released stunning news. Police Chief Brian Dugan said the accident was done on purpose. Dugan said even though 30-year-old Mikese Morse didn't know the family, he ran them down on purpose. “I am just sick over it,” said another neighbor who did not want to be identified because they are close to the family. “This is hard enough and then to learn that? This was a wonderful family." “Pedro is the type of person you want living in your neighborhood," Lavender said. "He was active in the HOA. He was a working family man. He was in the banking business. It will take a long time to heal from this." People have started to bring flowers and teddy bears to the scene of the accident. Gregory Hill brought a bouquet of flowers. “I probably passed by here three to five minutes before this happened," Hill said. "I just can’t believe it. I am so sad to know a mother will now have to raise her two boys alone. I can only pray for the family." Meghan Aguerreberry, Pedro's wife, is in the hospital sitting by the side of one of her sons. She did not want to speak on camera. Three-year-old Bennet was airlifted to Tampa General Hospital and is now in fair condition. While 8-year-old Lucas suffered some scrapes and bruises, he should be okay, according to a hospital spokesperson. “But, will they be ok? I worry about that,” Lavender said. "They watched their own dad pass away." "It's a real sad time," Anthony Triana said. Triana is the Studio Manager at Orange Theory Fitness in New Tampa where Pedro and Meghan were regulars. "I saw them Saturday," Triana said. "One day you see everybody, everything is fine, the next day it just changes so quickly." Triana said his thoughts are with Meghan and her two boys. "She is a strong woman, we all know that by the way she works out, she is awesome. Both her and Pedro," Triana said. "But, this is something mentally, that hopefully, we as a community and group can help them get through." Triana plans to hold a class on Sunday at 11:30 a.m. at Orange Theory Fitness New Tampa location at 17515 Preserve Walk Lane to collect donations for the family. "He loved working out here he always said that something to honor him in that way," Triana said. A GoFundMe page is also collecting money for the family.